Vast. Humongous. Gigantic. Huge. Enormous. Immense. Massive. Colossal. Gargantuan. Alaska. Lots of words and they all mean the same thing: BIG!! Alaska holds more than 375 million acres. 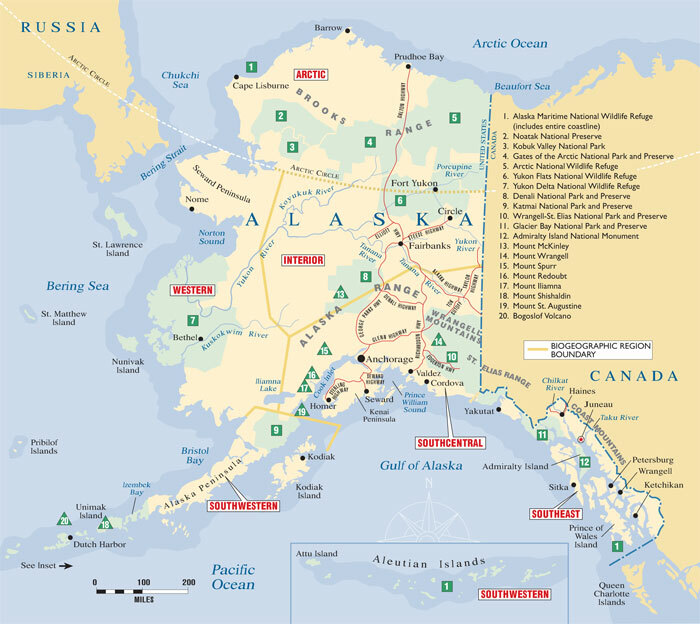 If you gave each Alaskan an equal share of the land, each person would get 531 acres. That would be like having 487 football fields all to yourself. So who owns all that land? How did it get divided that way? Before Alaska became a state, nearly all of the land belonged to the federal government. When Alaska became a state, it was allowed to pick out up to 104 million acres. These lands would help the new state build an economy. The state already had about 1.2 million acres it had been using for schools and universities before statehood. Alaska Natives had long felt that they deserved to own the land they had lived on long before the Russians or the Americans showed up. They watched as the state started picking the land it wanted after it became a state. Then oil was found on the North Slope. Oil companies began to push to build a pipeline. Alaska Natives began to worry: What will happen to the land we've lived on and used to hunt and fish? All the Native groups joined together to stand up for their right to own the land they had used for centuries. They made their claim to the federal government. The government agreed. The question of who owned the land had to be solved. Nothing could happen until the Native land claims were worked out. The state could not pick out any more land and no work could begin on an oil pipeline. In 1971, everyone agreed on a plan. 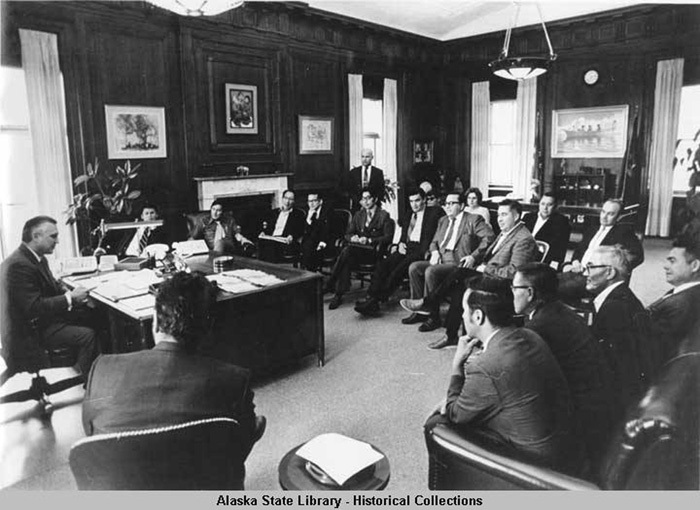 It was called the Alaska Native Claims Settlement Act or ANCSA. It gave Alaska Natives 44 million acres and a one-time payment of $1 billion to settle the claim. The land and the money were divided among 13 regional corporations set up to act for each of the major Alaska Native groups. One key part of the agreement called for the federal government to set aside 80 million acres to protect them from development. That part of the agreement would take another nine years work out. Before the Alaska Native Claims Settlement Act (ANSCA), the nation had set aside about 40 million acres in parks and wildlife refuges. Other land had been set aside for Native use, for schools and colleges, and for the railroad. They also set aside 23 million acres for an oil reserve in the Arctic. After ANCSA passed, Congress had more work. They had to decide what to do about the section that called for protecting 80 million acres. Like almost every other big decision about Alaska, it seemed each person had a view on what should be done. For some, it felt like the entire state would become a national park. For others, it was a once-in-a-lifetime chance to protect some of the most beautiful land in the nation for the future. In 1980, after years of debate, President Jimmy Carter signed the Alaska National Interest Lands Conservation Act, or ANILCA, into law. It has been called the most important land conservation bill in the history of our nation. It protected more than 100 million acres of federal lands in Alaska. This one law doubled the size of the nations national park and refuge system. It created 10 new national parks and increased the size of three others. Settlement for roads, public buildings, and towns so the state could grow. Some of the settlement lands could be sold or granted to individuals. Resources, farm lands, forests, mining and oil and gas, fisheries, wildlife habitat. Lands with these resources were picked to help Alaska's economy. Recreation lands for wildlife, hiking, and camping were picked to give Alaskans and visitors a chance to enjoy Alaska's beauty. Just over 11 million acres are in state parks and forests. 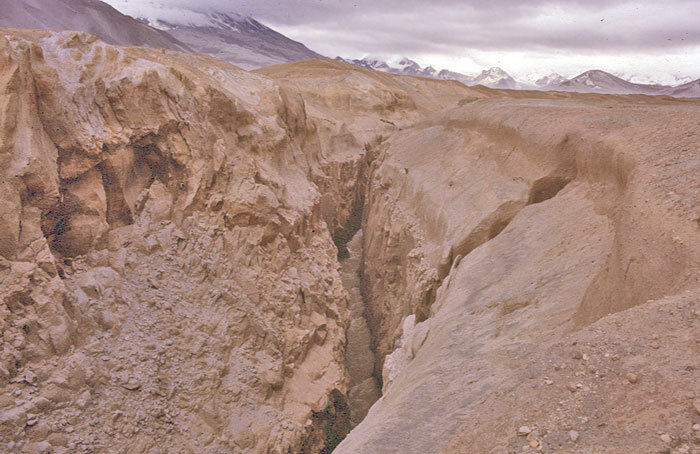 Gates of the Arctic National Park was created in the 1980. 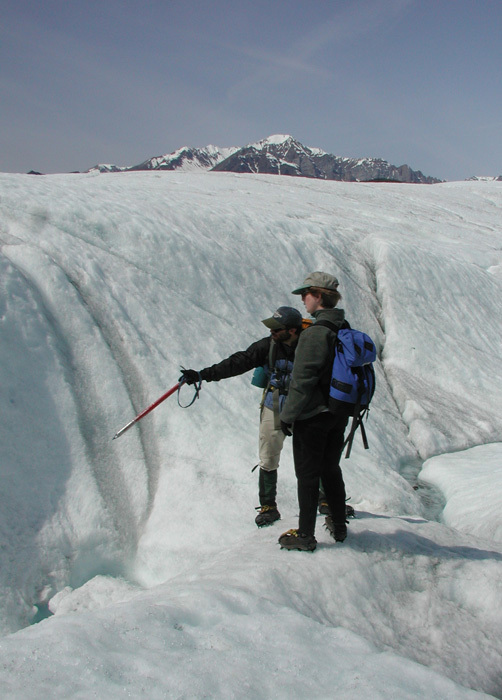 Hiking on a glacier in Wrangell-St. Elias National Park, the nation’s largest park. 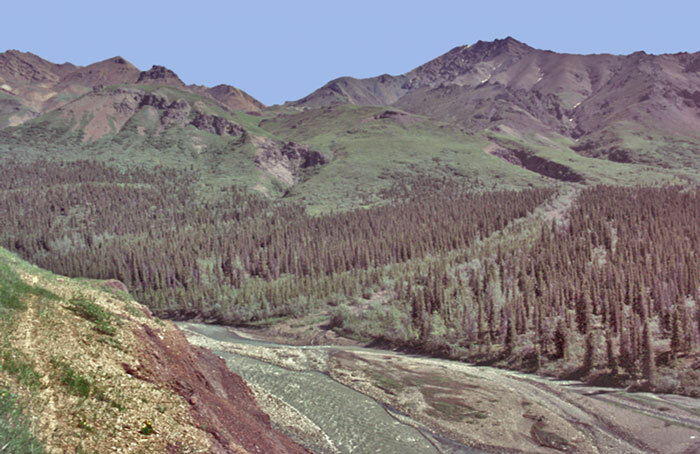 Katmai National Monument was created in 1918. In 1980, more land was added to the monument and it became a park. 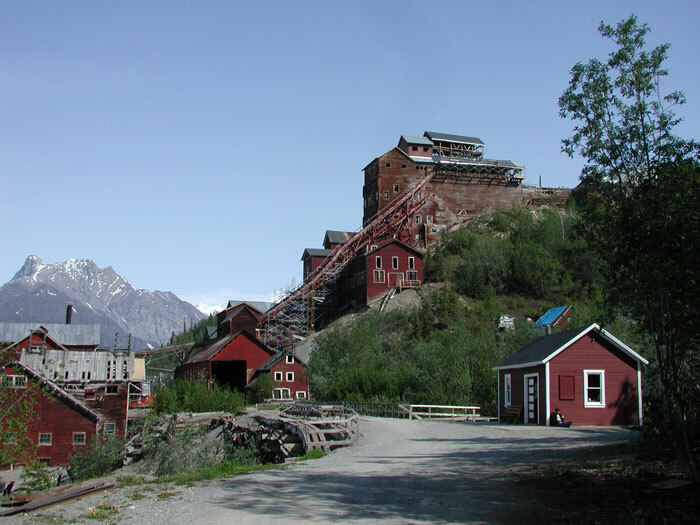 Kennicott Mine in Wrangell-St. Elias National Park. 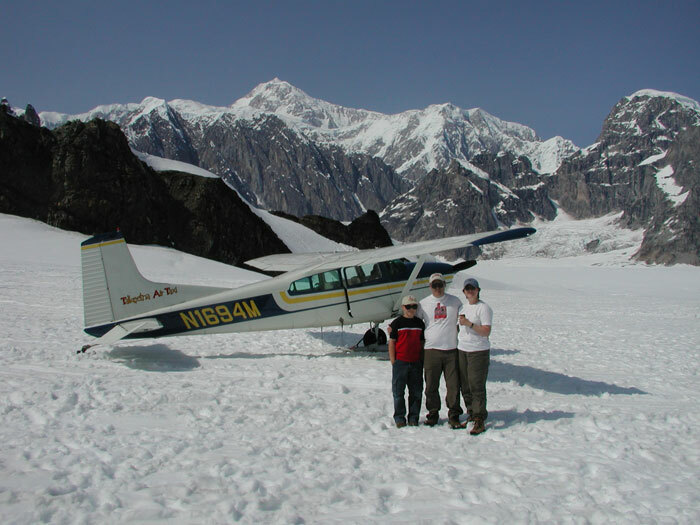 Flightseeing tours of Denali National Park often land visitors on the Ruth Glacier. 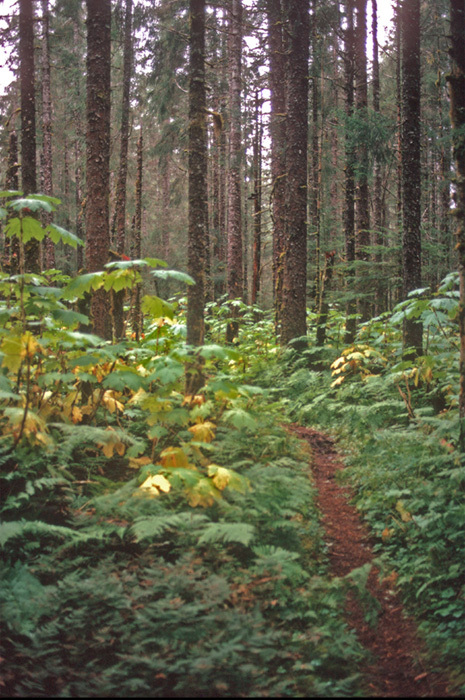 Tongass National Forest spans most of the Southeast Alaska Panhandle.